Every year Apple holds two big events, one is called Word Wide Developer Conference, which is mostly related to New Software and Firmware announcements such as iOS, tvOS, watchOS etc. While the other one is related to New Hardware and Devices announcements such as iPhone, iPad, iPod touch etc. So just like the previous year, this year's WWDC 2018 Event will take place at McEnery Convention Center in San Jose, California (CA), USA from June 4th, 2018 Monday at 10am PDT or 1pm EST till June 8th, 2018. 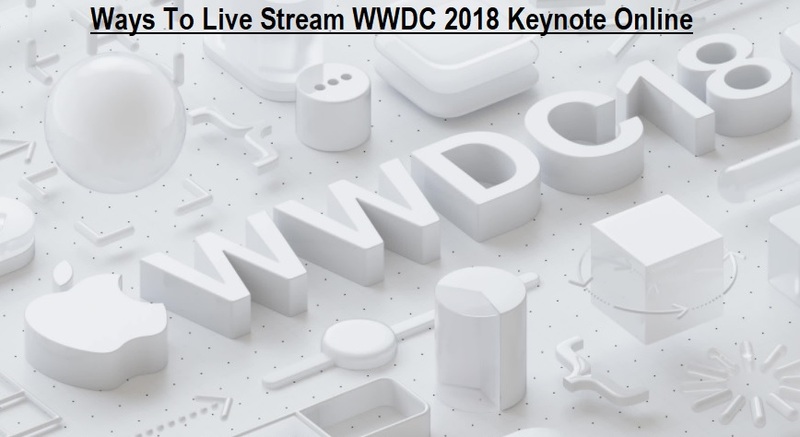 So if you are too excited for the upcoming Apple event, but can't travel due to some reasons, then there are Different Ways to Live Stream WWDC 2018 Keynote Online on iOS, Android, macOS, Windows, and Apple TV officially supported by Apple on event days. 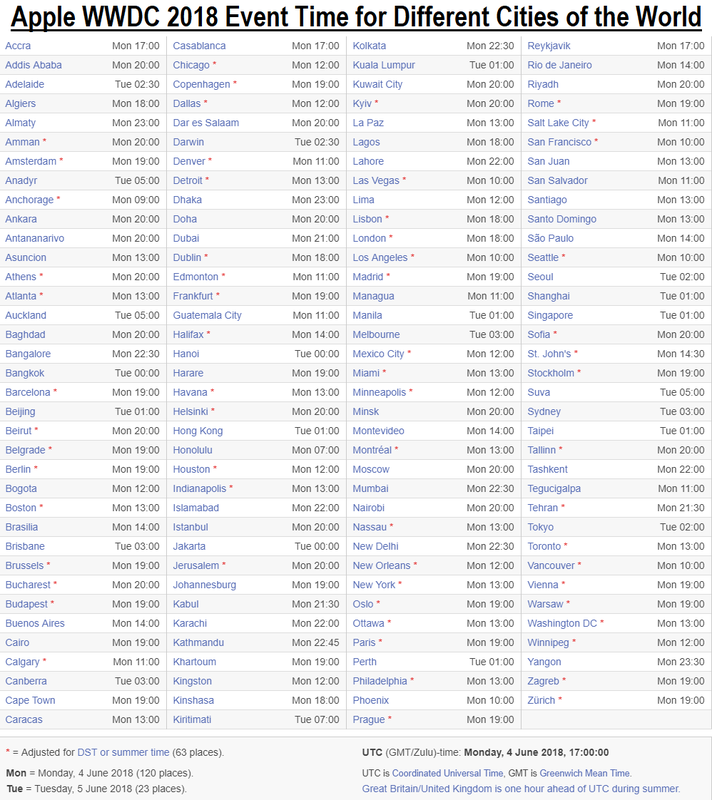 As officially announced by Apple, that it will Live Stream WWDC 2018 Keynote globally. Users need to ensure some prerequisites to Watch WWDC 2018 Keynote Online without any interruption. According to official Apple's website, following hardware and software are fully compatible to remotely Live Stream WWDC 2018 Event via Online Streaming Link provided by Apple. Android Devices: VLC media player app installed on smartphones or tablets. Windows PCs: Windows 10 with Microsoft Edge web browser installed OR VLC media player software installed if running Windows 8.1 / Windows 7 / Windows Vista or Windows XP. iOS Devices: Apple iOS 6.0 firmware installed with Safari web browser on iPhone, iPad and iPod touch. Mac Devices: macOS 10.8.5 or later version installed with Safari 6.0.5 or latest version. Apple TVs: tvOS 6.2 software or later version on 5th Generation, 4th, 3rd or 2nd Apple TV OR download Apple Events app. Watch WWDC 2018 Live on Mac, iPhone, iPad, or iPod touch? Apple device users can Stream WWDC 2018 Keynote Live on event day on Monday 4th June 2018, at 1pm EST or 10am PDT standard time zone by visiting the official website of Apple. The live video streaming URL is provided below and this will only work on Safari web browser, not chrome. How to Stream WWDC 2018 Online on Apple TV? If you own newest 5th Generation or 4th Generation Apple TV, then you can just install Apple Events app from app store to watch WWDC 2018 live. But if you are using an old 3rd Generation or 2nd Generation Apple TV, then follow below guide. Step 1: Go to Settings >> General >> Software Updates and select Update Software to update your Apple TV.. Step 2: Once updated, you can navigate to Apple TV home screen to get Apple Events App with WWDC 2018 logo for installation. How to Watch WWDC 2018 Keynote on Windows and Android? If you are Windows 10 operating system user, then you can open Microsoft Edge web browser and visit Apple's official website link provided above to watch the event live. But if you are non-Windows 10 user or Android user, follow below steps. Step 1: Visit videolan.org to free download and install VLC Media Player software for Windows or Android device. Step 3: Click on Play button to begin Live WWDC 2018 Streaming on your screen. All iPhone, iPad, and iPod touch smartphone or tablet users can also Download WWDC 2018 App from iTunes App Store to get latest keynote updates, announcements, sessions, videos, speakers, happenings and all other details related to iOS 12, watchOS 5, tvOS 12, macOS 10.14, HealthKit, SiriKit, HomeKit etc. Follow us at WWDC 2018 to stay updated with all latest news and updates!